Those are the words of Penguins coach Jerrod Calhoun following his team’s back-to-back, nail-biting road victories over Oakland University, 75-74, and the University of Detroit Mercy, 72-70. 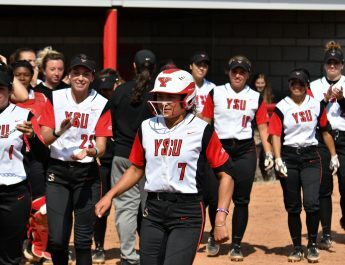 The two-game winning streak ties the longest of the season for the Penguins and comes at a very critical time, as wins are a necessity more than ever to get into the Horizon League Tournament beginning in March. The Penguins have five out of the next seven games at the Beeghly Center, including the next four straight, something Calhoun and his team desperately need to take advantage of. While a two-game winning streak isn’t a monumental feat, it’s how the Penguins won that shows growth from earlier in the season. YSU’s young team matchups, some in the Horizon League due to key mistakes down the stretch of close games. This time, it was different. 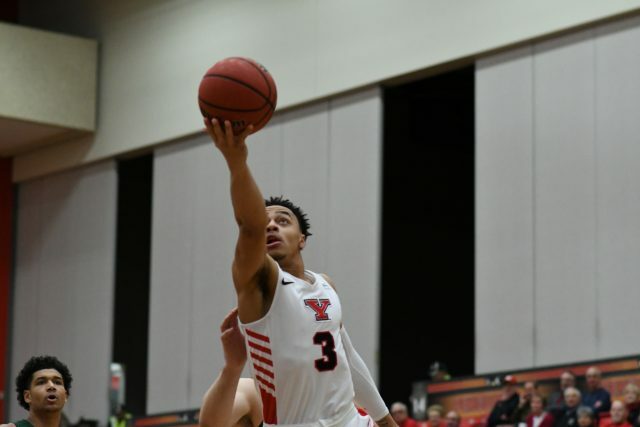 Morgan scored 11 points in the Penguins’ most recent victory against Detroit Mercy, but none were more important than the 3-pointer he nailed with just under 14 seconds remaining in the game, to give YSU the lead. “Just learning the situation. Knowing what shot to take, what play to call and when to foul. Just having faith in our coaching staff and our team. It was just a great win,” Morgan said. Freshman guard Darius Quisenberry scored 14 points against Detroit and has made a name for himself in his first year with the Penguins. This week he’s been recognized for his play, earning Horizon League Freshman of the Week after averaging nearly 19 points per game and nearly four assists per game. Calhoun said Quisenberry has gotten better every week. “He’s so deserving of getting the freshman of the week, I’m glad he got it. Multiple guys have stepped up and I think the belief is there,” he said. The ever-important home stand begins Feb. 7 against the University of Wisconsin-Milwaukee Panthers. With an up and down schedule, the Penguins are thankful this homestand is coming when some home cooking is needed the most. “Getting two games on the road gave our team a lot of confidence, especially coming back home for four games. Basically, it gives us a way to control our own destiny,” Morgan said. 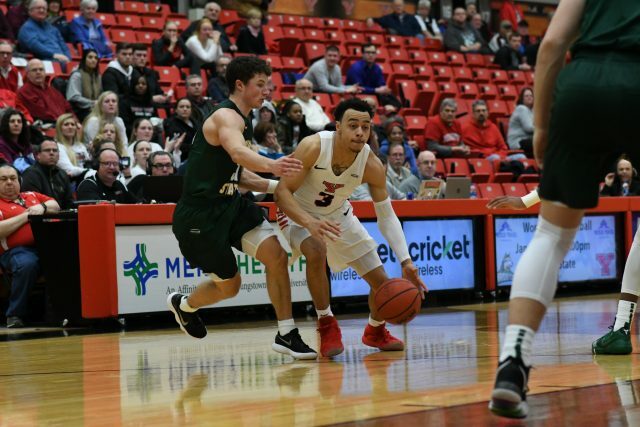 Calhoun said it’s a critical time to take advantage of that confidence as the Penguins fight to stay in the hunt for a sport in the Horizon League Tournament.